The Annual AWFS® Fair brings together the latest equipment, tools and trends of the woodworking industry. Wagner Meters will again be part of this exciting event in Las Vegas this July. 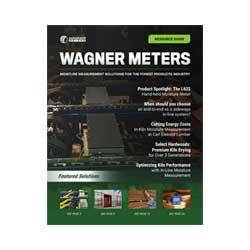 Wagner Meters’ line of award-winning and field-proven moisture measurement products can now be shipped directly to its international customers’ doorsteps. The International Woodworking Fair (IWF) in Atlanta, Georgia hosts a variety of products designed to assist woodworkers in finding the best tools, products and companies for their crafts and professions. Wagner Meters will be attending this year with its line of wood moisture meters for woodworkers, including the popular MMC220. #33: The Router. Every woodworker should have a router. With the router, you can shape the edges of your work. The variety of shapes is endless, with the various bits available. If you’re a beginner, a stationary base router will do almost everything you need. This will start and end the cut at the same depth that you set before you make the cut. A power tool is, technically, anything that requires electrical power to function. Here, we’ll start with the most humble of power tools. The really good stuff comes later. Is the Mountain Beetle Eating up the Lumber Industry?